Baxter's Pet Pantry • Long Island Cares, Inc.
Baxter’s Pet Pantry operated by Long Island Cares, Inc. – The Harry Chapin Regional Food Bank, which was developed in partnership with the Animal Relief Fund Inc. (ARF), makes free pet food and pet supplies available to pet-owning families in need in Nassau and Suffolk Counties, New York. The pet food and supplies are supplied by ARF and many pet food corporations. 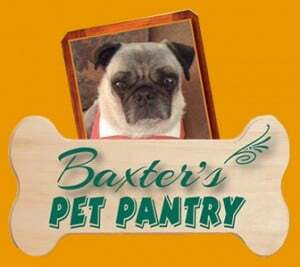 Initiated as a result of 2009 media coverage of families putting their pets up for adoption as a result of not being able to afford pet food, veterinary care and/or other services, Baxter’s Pet Pantry also offers toys, pet clothes, feeding bowls, cat litter and other pet supplies. Free pet food is available to pet owners through many of our local member agency food pantries. Help us help families keep their pets at home – where they belong. Donate now. Need free pet food or supplies? Contact our Hauppauge headquarters, our Center for Collaborative Assistance in Freeport, South Shore Service Center in Lindenhurst, or our Humanitarian Center in Huntington Station. Long Island Cares, Inc. is very grateful to our corporate partners at PETCO, Pet Supplies Plus, Target, VCA Animal Hospitals, Pet Smart and Walmart for their very generous monthly donations of pet food and toys to Baxter’s Pet Pantry. You can support our pet pantry by visiting any one of PETCO’s stores on Long Island to purchase a dog or cat pet gift bag, or any pet food, which are all donated to Long Island Cares.